Elkhart County requires plates for buggies, which helps pay for damage horseshoes cause to roads. According the Indiana Business Research Center, Indiana has the third largest Amish population in the country. Amish families use horses and buggies to get around, and the steel horseshoes can be especially hard on pavement. 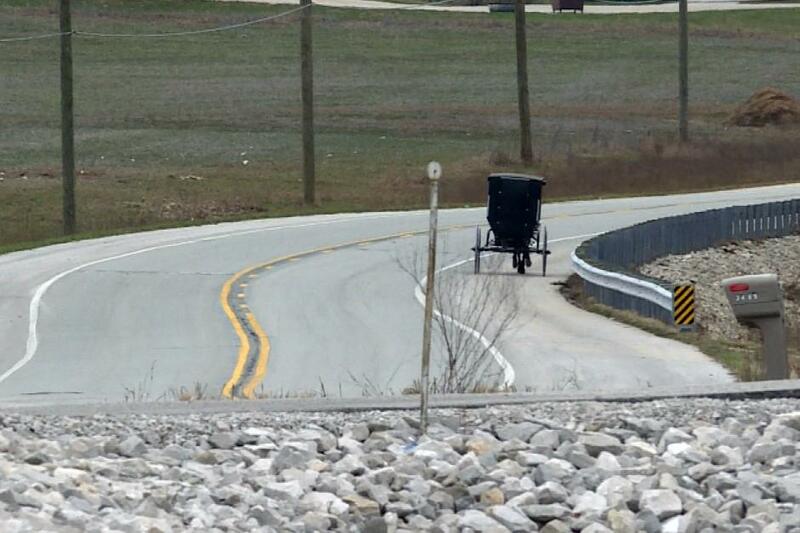 That has several communities looking for ways to reduce road damage, while also respecting Amish beliefs. People drive from all over Indiana to indulge at some of Middlebury, Ind.’s Amish restaurants, or browse through some of the shops. That large Amish population means you see a lot of buggies passing by. And, you may feel a difference when driving down the roads yourself. After awhile, horseshoes create what are called horse troughs on roads. Water gets into the long lines of broken pavement and freezes in the winter, creating potholes. Yoder points down a road with a long line of large divots in the pavement. They line up with where a horse’s hooves hit the asphalt. 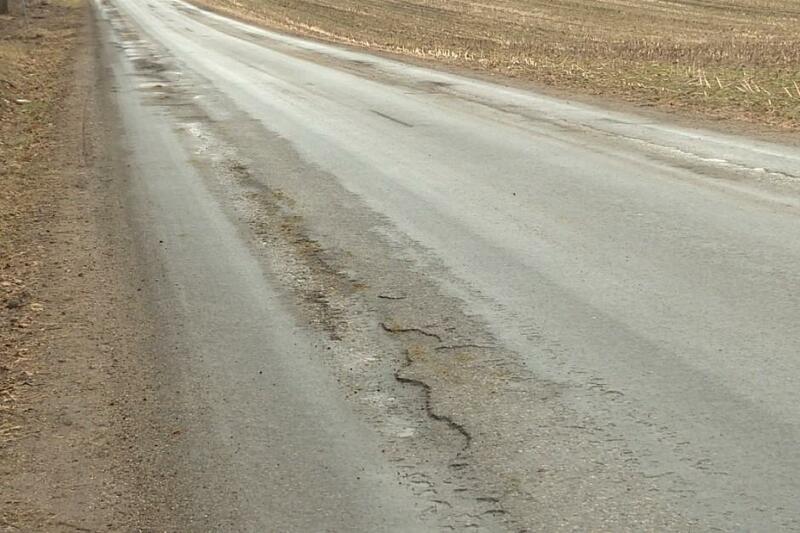 Yoder says you’ll find some sort of horseshoe damage on about half of Elkhart County’s roads. Amish farriers often outfit horseshoes with stronger materials, or even spikes, during winter months. We spoke to several members of the Amish community about the issue, but they didn’t want to do recorded interviews or have their names published. 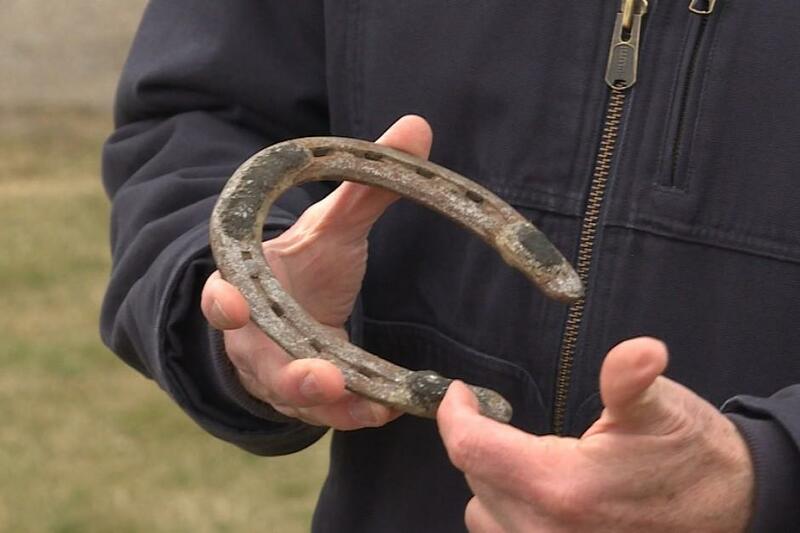 An Amish farrier told us the county has some regulations on what types of materials they can use in their horseshoes, which addresses some of the problems with roads. He says it’s necessary to use heavy-duty materials to keep horses from sliding on wet roads. That’s especially important in northern Indiana, where there’s a significant amount of snow every year. $55 annual buggy plate fee to help cover the costs. Yoder says they’ve considered implementing additional restrictions, but they present a new set of challenges. “The problem with regulating horseshoes is that somebody has to enforce it,” he says. “And, our county sheriff has been reluctant to pull over buggies and lift a horse’s foot to check on the horseshoes. The Old Order Amish in Orange County have more restrictions on what they can do to their buggies than some of the communities in northern Indiana. They don't have lights, reflectors or plates. More than four hours south of Elkhart County, another Indiana community is facing a similar dilemma. Orange County is home to a smaller number of Old Order Amish. Horseshoe damage has always been a problem here, but it recently got worse. Dixon and other county leaders met with members of the Amish community to come up with solutions that would work for both parties. The Amish agreed to use less abrasive horseshoes for half of the year, and heavy duty versions during the remaining months. 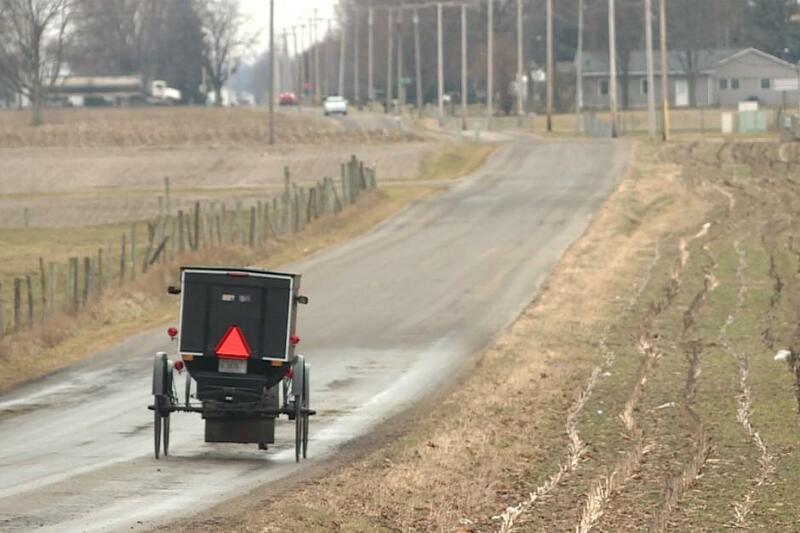 Dixon says the Amish will change to less abrasive horse shoes in April, but it will take months before the county can assess whether it’s making a difference. He acknowledges it’s a rule that will be hard to enforce. “We’re hoping that it works well and we can build on that and find other things we can agree on that’s not so intrusive for them,” he says. Wisconsin is also home to a large Amish population. Damage to roads in portions of the state are so bad, a state legislator wants to ban certain horseshoes. The bill would prohibit animals from wearing horseshoes that will injure the highway. It also allows local governments to pass their own rules banning the uses of spiked horseshoes for half of the year. Those who violate the bill will face fines, starting with their second offense. But, Elkhart and Orange County leaders say they think it’s an issue that should be left up to local governments.